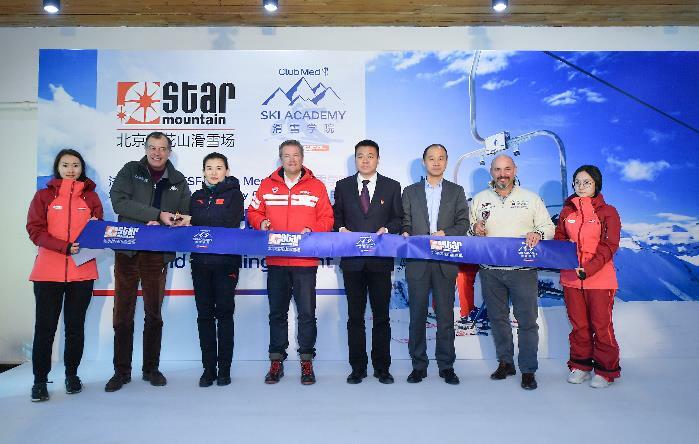 (Beijing, China – January 15, 2019)– Club Med today (Jan 15) celebrated the grand opening of a premium skiing and snowboarding school powered by Club Med and the world-leader Ecole du Ski Francais (ESF, French Ski School) at Beijing Star Mountain Ski Resort. Henri Giscard d’Estaing, Chairman and Chief Executive Officer of Club Med, Eric Breche, President of ESF and Miss Yehong Tang, Deputy Director of Mass Ski Division of Winter Sports Administrative Center, were on site for the important occasion, invited by Mr. Gang Han (Vice President of China Chengxin Investment Group, owner of Star Mountain). Leading up Beijing’s hosting of the 2022 Winter Olympics, Liu Peng, president of the Chinese Olympic Committee has projected that China will have 300 million Winter Sports Enthusiasts by the time of the Olympics. In order to support this government objective, there is a high demand for quality winter sports facilities and instruction in China. 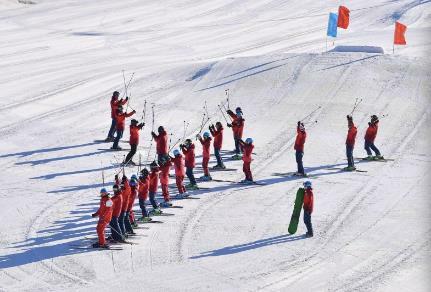 Currently, less than half of ski instructors in China have GASC certification. The top reasons in China that deter prospective new skiers are the perception that it’s too dangerous and facilities are not convenient enough. In fact, only 20% of first time skiers in China end up trying again. In developing the China Ski Academy Powered by Club Med and Ecole du Ski Francais (ESF), these factors were taken into account to create an exciting and safe experience for new Winter Sports enthusiast. 100% of the ski instructors on site follow a strict training with ESF instructors in season opening, an on-going training during the ski season with a permanent ESF instructor on site, and for the most successful ones, get a “China Ski Academy” certification at the season end, exemplifying the superior quality of ski instruction the new Ski Academy brings to Beijing. The opening of this new Ski Academy in collaboration between Club Med and ESF in China hopes to tap into the evolving demands of Chinese travelers for a high-quality winter sports experience and provide a superior experience for prospective new skiers that will create a love for the sport. As a renowned global leader in Winter Sports tuition, ESF has 73 years of experience across 230 ski schools in France, ESF has developed and perfected its own advanced teaching method with special considerations for young skiers. ESF teaching methods have been adapted to the China market and will be delivered by experienced Chinese instructors who have undergone extensive training with ESF, ensuring fun, productive and safe ski lessons for all participants willing to learn. ESF’s 17,000 instructors already train upwards of 2.5 million skiers annually. As the first Ski Academy powered by Club Med and ESF in China, the new venture now promises to take ski and snowboarding instruction in Beijing to a world-class level. 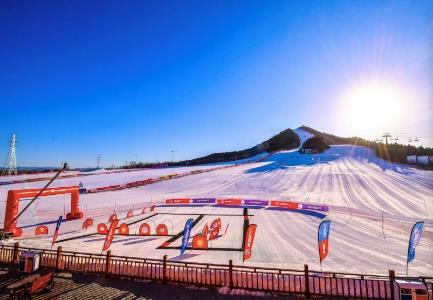 The new opening answers to a high demand in China for Winter Sports facilities. More than 700 ski resorts have opened across the country as Beijing prepares to host the 2022 Winter Olympics. Bookings at Club Med’s two ski resorts in Beidahu and Yabuli alone have more than doubled in just two years – from 11,000 in 2016 to 24,000 this year. The Star Mountain Ski Academy powered by Club Med and ESF along with a sister academy at Daikini ski resort in Chongqing will both offer the high-quality instruction developed by Club Med and ESF to cater to all ages and ability levels; from beginner to expert, in ski or snowboard. 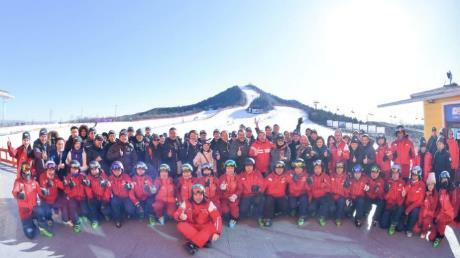 The collaboration model has the Ski Academy operated by the Beijing Star Mountain Ski Resort with a Club Med-ESF trainer permanently based on-site to work side-by-side with the Ski Academy Director and professional instructors. The training of instructors continues throughout the winter ski season for continuous improvement. High quality equipment at the Academy is supported by Decathlon. Ski instruction for youth begins as young as three-years old. “Club Piou-Piou” is designed as a fun and protected experience for 3-5 year-olds. “Club Stars” has several levels for 6-14 year olds to develop their skills, and Adult courses are available for all levels and with a multitude of terrain and technique options. To encourage enjoyment among novice Chinese skiers, the academy bases training on three guiding principles: safety, excellence and fun. Moving forward, Club Med and ESF seek to expand instruction across China and welcome enquiries from interested ski resorts for the coming winter season. Club Med’s luxury all-inclusive holidays are completely hassle-free and offer a unique winter holiday experience for all the family, promising thrilling sports and outstanding snowy scenery. For bookings, please visit www.clubmed.com. In 1937 Georges Blanchon, Emile Allais, Charles Diebold, Paul Gignoux and Lan Lagrange founded the Ecole Frann Fra de Ski, the forerunner of the Ecole du Ski franSki. It was Georges Blanchon, general secretary of the French Ski Federation (FFS) who presented the plan for the School and the single skiing technique at the FFS congress in October 1937.n to achieves, etc, etc Exclusive CoEcole du Ski FranSki has increased from 200 instructors in 41 schools to 17,000 instructors in 250 offices: an 80-fold increase in the number of instructors. Today, the Ecole du Ski FranSki is the largest ski school in the world, with 2,000,000 pupils taking 800,000 tests every year. Established in 2003, Beijing Star Mountain Ski Resort is a joint venture with Sun Mountain Yabuli in Heilongjiang Province, with a convenient location on the south side of Liangshan Village, Zhangzhen Town, Shunyi District, and Beijing. It covers a total area of nearly 165 acres, with construction of the ski field based on the concept of combing ecology, environmental protection, low-carbon, health, leisure and vacation into one. The total investment of the resort reaches 150 million. In addition to a total of 8 ski tracks including elementary, intermediate, advanced and recreational slopes, Beijing Star Mountain Ski Resort also boasts a 600-meter-long private chairlift ropeway, 5 conveyor belts for skiing settled in the elementary and intermediate slopes, as well as a ski equipment hall with an area of 3,000 square meters. It is well-equipped with imported brand-name ski equipment of more than 4,000 pairs, while also having a well-designed snowboarding park that can fully meet different demands of beginners, intermediate players and veterans.